GstarCAD Architecture es un software compatible drafing / .dwg diseño con herramientas de diseño profesionales de arquitectura y biblioteca. Suministra la tecnología de objetos a medida para la creación de objetos de arquitectura, tales como paredes, columnas, puertas, ganar-forjados, escaleras, techos, etc. Todo esto hace a GstarCAD Architecture más eficiente que los hábitos tradicionales de dibujo CAD para el diseño de la arquitectura y la redacción. GstarCAD Architecture uses pull-down toolkit menu which could be displayed or hided by pressing composite key "Ctrl+=". GstarCAD Architecture provides different styles of walls, doors, windows, etc, that allows you faster create or edit their properties. GstarCAD Architecture supplies parametric operation mode to connect or edit custom objects smarter. GstarCAD Architecture is able to generate sections and elevations from plan drawings of each floor through engineering management function. GstarCAD Architecture comes with convenient and useful tools for annotation including dimensions, symbols, elevation, and so on. GstarCAD Architecture could generate, export or import data table of architectural custom objects like door, window, and hole from drawings. GstarCAD Architecture allows insert commonly used blocks directly from drawing library to ease architectural design details and avoid rework. GstarCAD Architecture with site plan function, designers could complete their site plan drawing and calculation accurately. 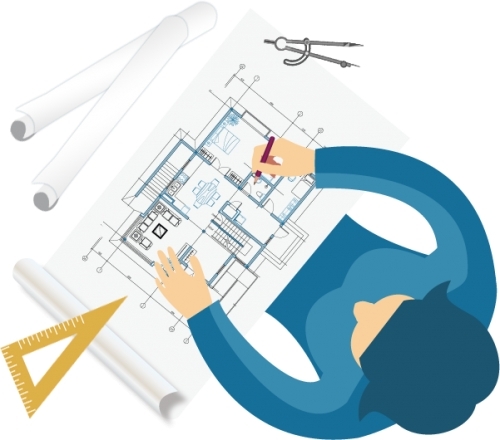 What’s New in GstarCAD Architecture 2016? Learn about the new features added in GstarCAD Architecture 2016 and take advantage of them.